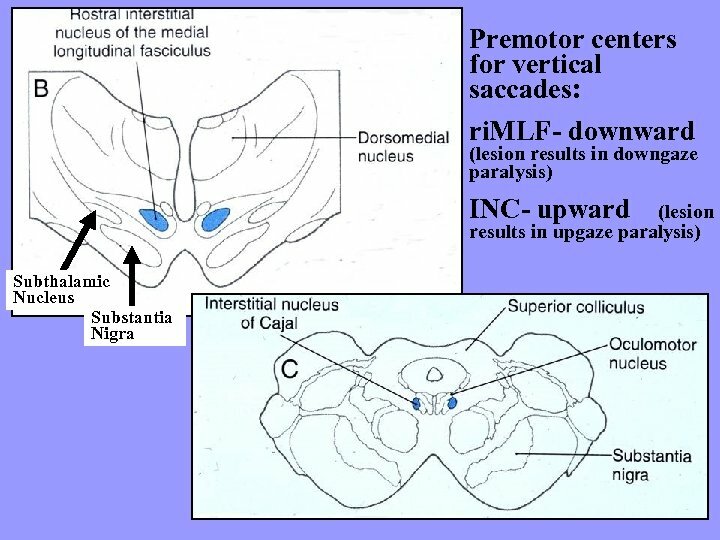 Lower extremity Upper extremity Origin of Corticospinal Tract (body) Paracentral lobule Head Origin of Corticobulbar Tract (head) Motor Homunculus Precentral Gyrus A representation of the body’s musculature is somatotopicallyorganized on the precentral gyrus and paracentral lobule, known as the motor homunculus. 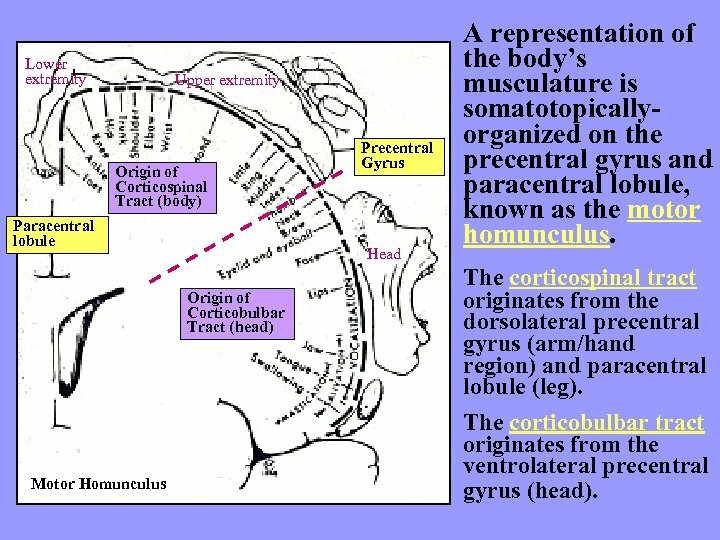 The corticospinal tract originates from the dorsolateral precentral gyrus (arm/hand region) and paracentral lobule (leg). 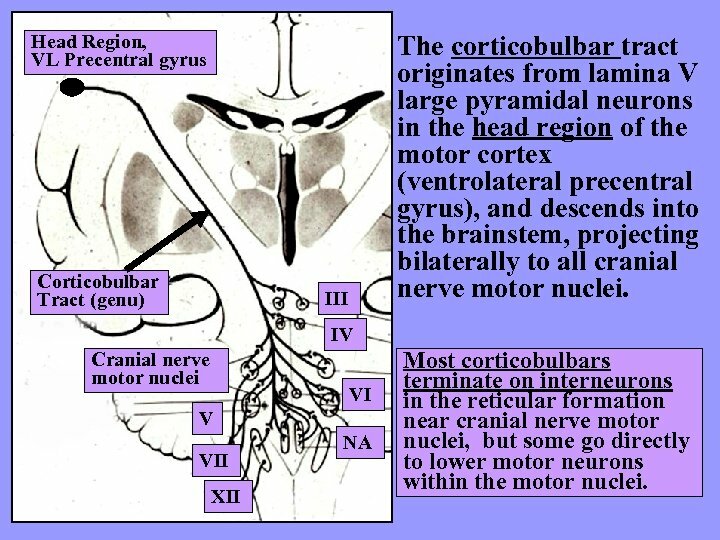 The corticobulbar tract originates from the ventrolateral precentral gyrus (head). 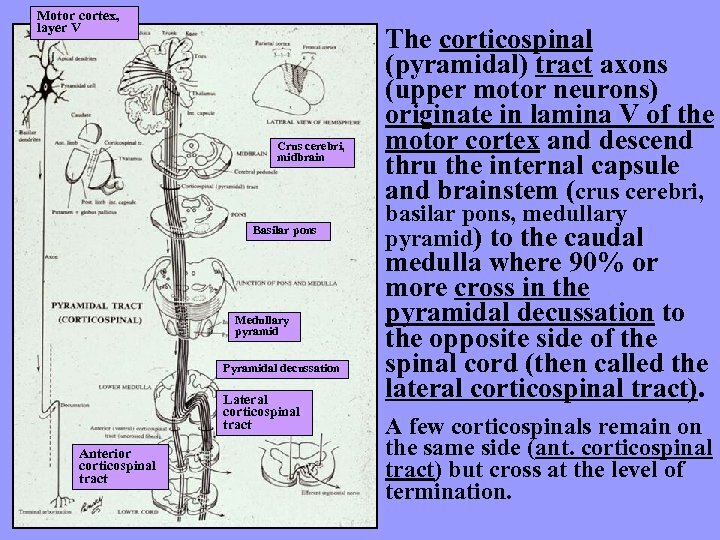 Motor cortex, layer V Crus cerebri, midbrain Basilar pons Medullary pyramid Pyramidal decussation Lateral corticospinal tract Anterior corticospinal tract The corticospinal (pyramidal) tract axons (upper motor neurons) originate in lamina V of the motor cortex and descend thru the internal capsule and brainstem (crus cerebri, basilar pons, medullary pyramid) to the caudal medulla where 90% or more cross in the pyramidal decussation to the opposite side of the spinal cord (then called the lateral corticospinal tract). 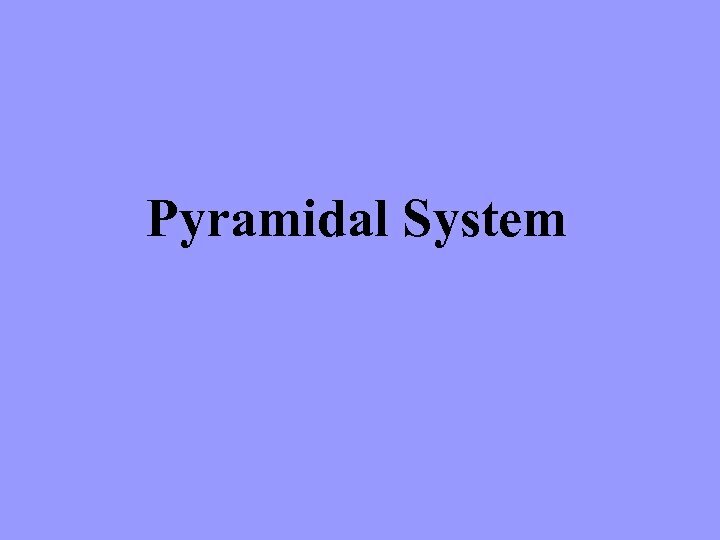 A few corticospinals remain on the same side (ant. 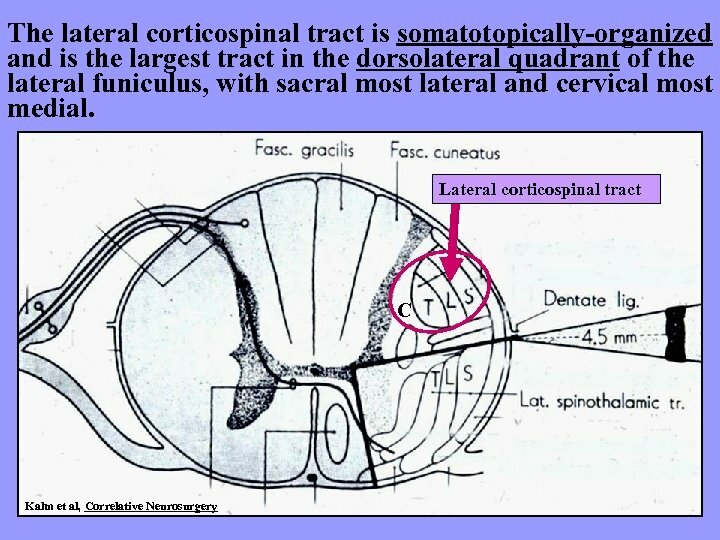 corticospinal tract) but cross at the level of termination. 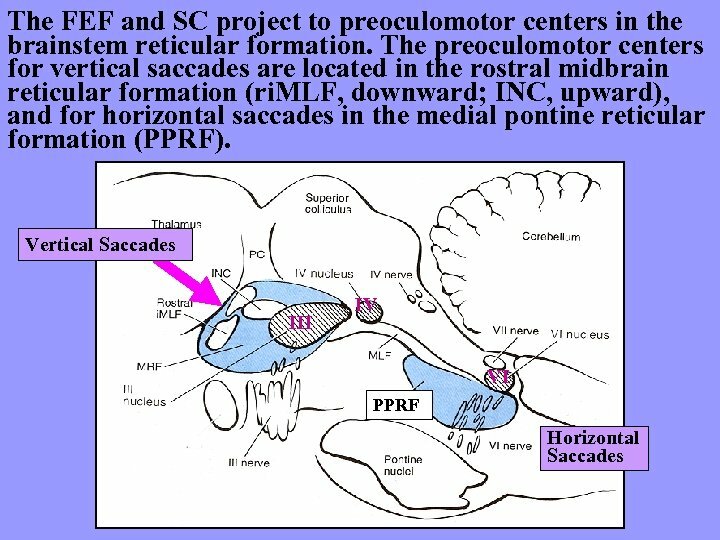 Head Region, VL Precentral gyrus Corticobulbar Tract (genu) The corticobulbar tract originates from lamina V large pyramidal neurons in the head region of the motor cortex (ventrolateral precentral gyrus), and descends into the brainstem, projecting bilaterally to all cranial nerve motor nuclei. 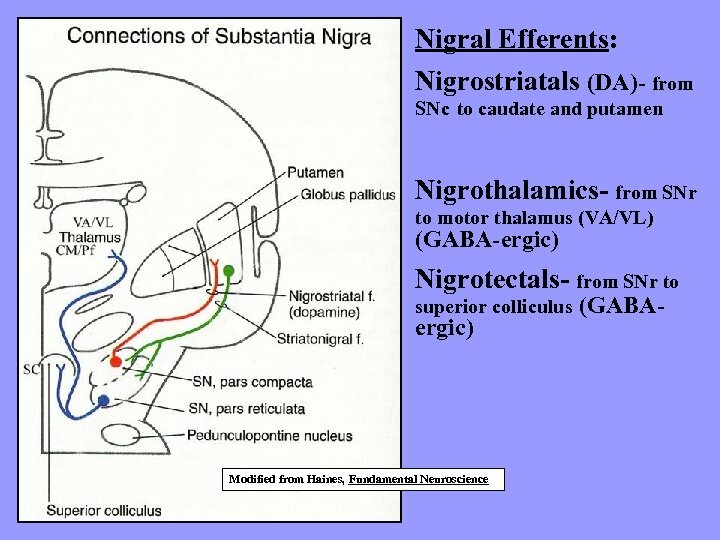 III IV Cranial nerve motor nuclei VI V VII XII NA Most corticobulbars terminate on interneurons in the reticular formation near cranial nerve motor nuclei, but some go directly to lower motor neurons within the motor nuclei. 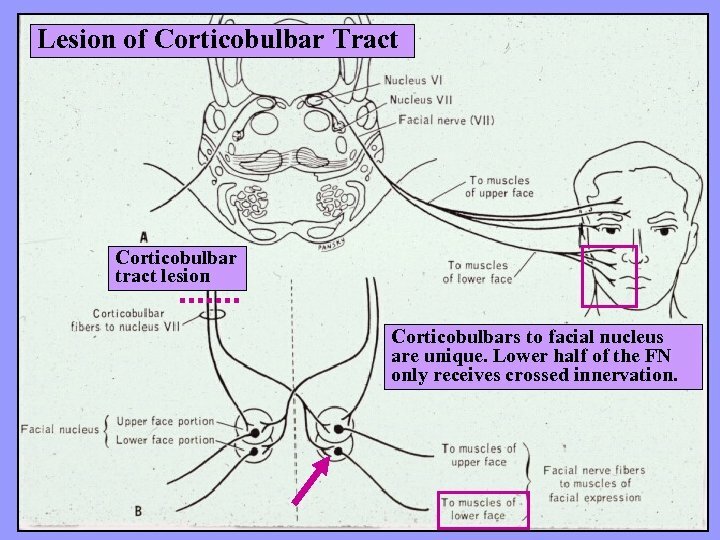 Lesion of Corticobulbar Tract Corticobulbar tract lesion Corticobulbars to facial nucleus are unique. 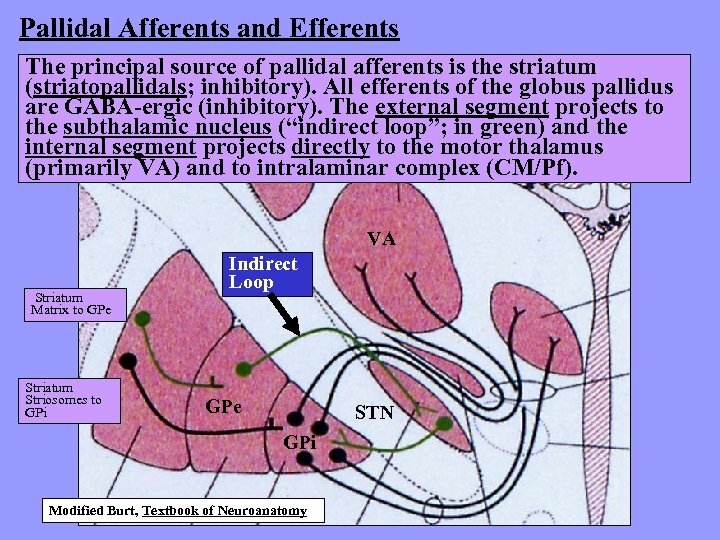 Lower half of the FN only receives crossed innervation. 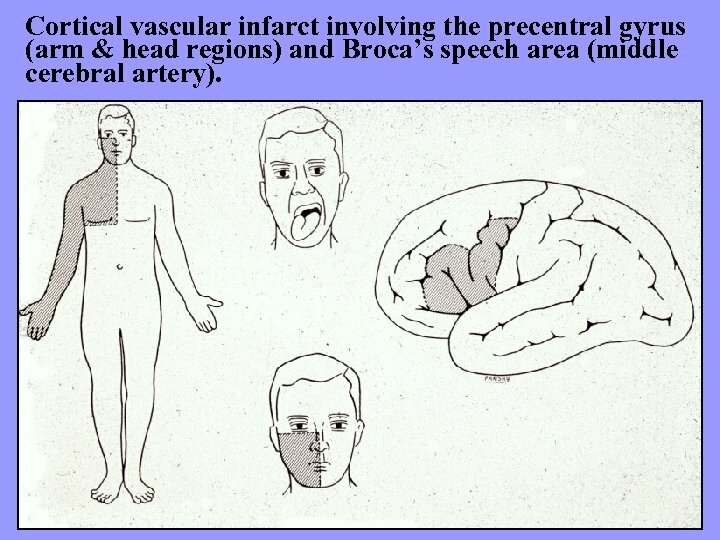 Cortical vascular infarct involving the precentral gyrus (arm & head regions) and Broca’s speech area (middle cerebral artery). 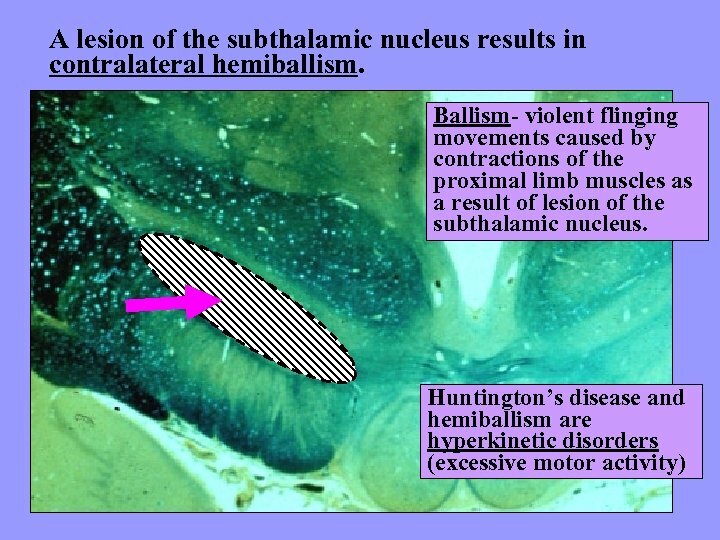 Capsular hemiplegia- involving genu (corticobulbars) and post. limb (corticospinals) of the internal capsule (middle cerebral artery). 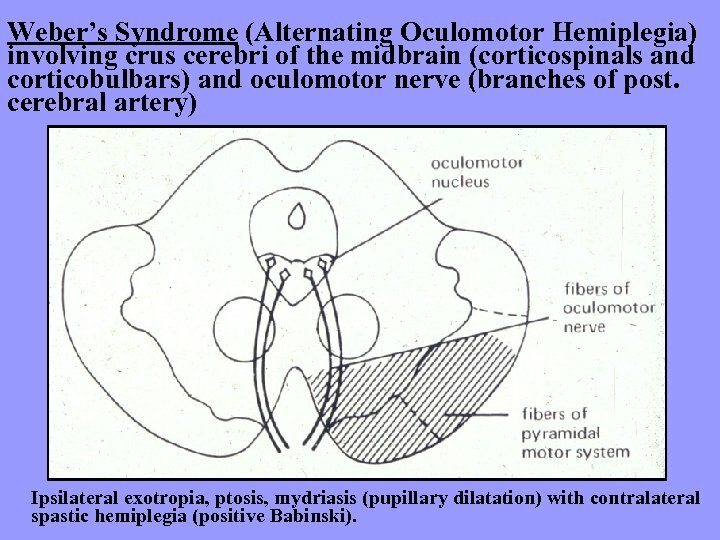 Weber’s Syndrome (Alternating Oculomotor Hemiplegia) involving crus cerebri of the midbrain (corticospinals and corticobulbars) and oculomotor nerve (branches of post. cerebral artery) Ipsilateral exotropia, ptosis, mydriasis (pupillary dilatation) with contralateral spastic hemiplegia (positive Babinski). 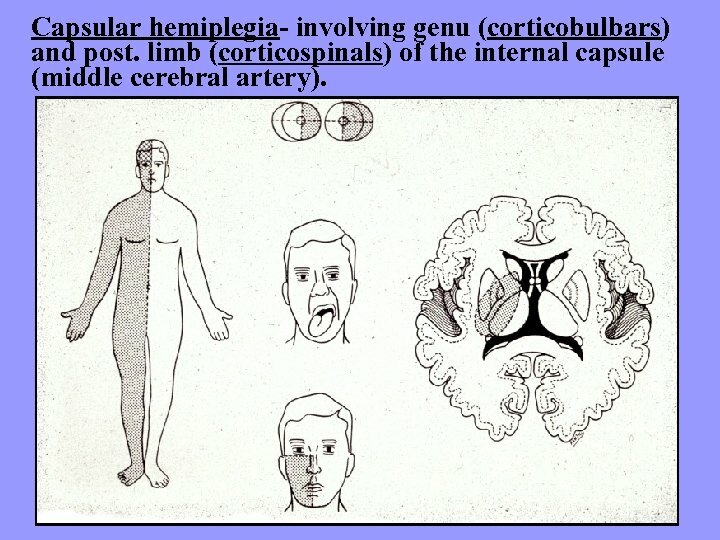 Alternating abducent hemiplegia involving the basilar pons (corticospinals) and abducens nerve (br. 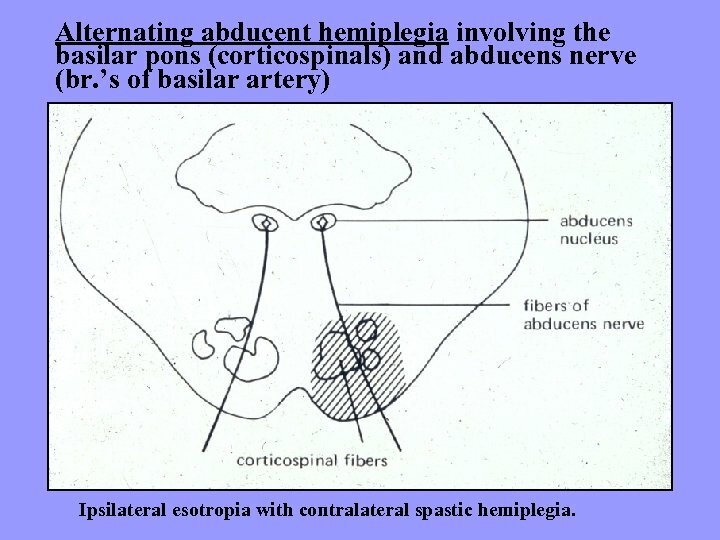 ’s of basilar artery) Ipsilateral esotropia with contralateral spastic hemiplegia. 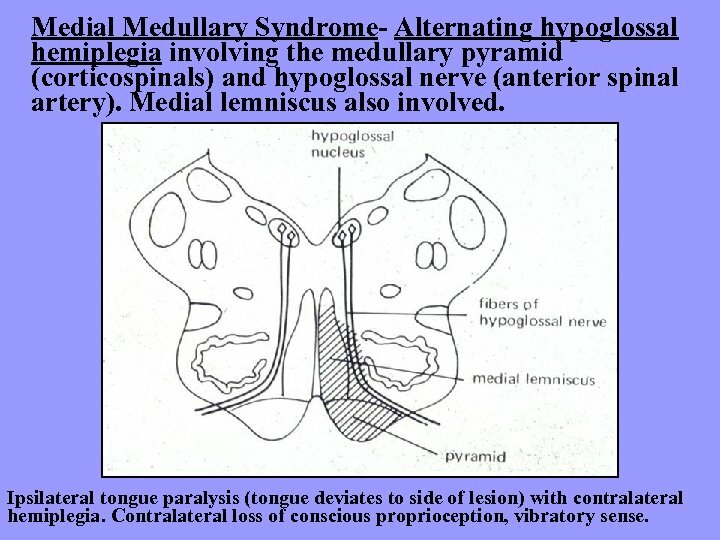 Medial Medullary Syndrome- Alternating hypoglossal hemiplegia involving the medullary pyramid (corticospinals) and hypoglossal nerve (anterior spinal artery). 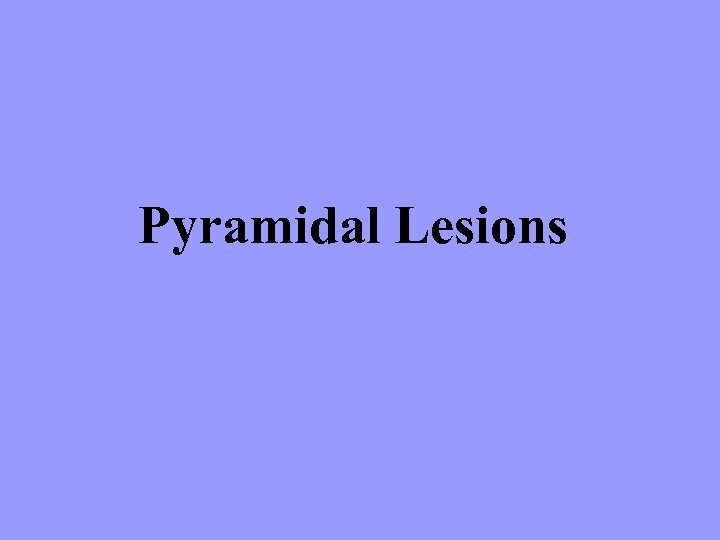 Medial lemniscus also involved. 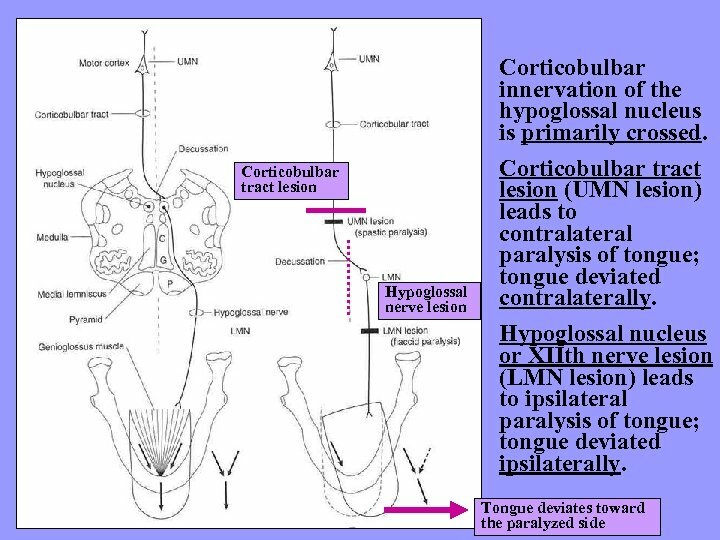 Ipsilateral tongue paralysis (tongue deviates to side of lesion) with contralateral hemiplegia. 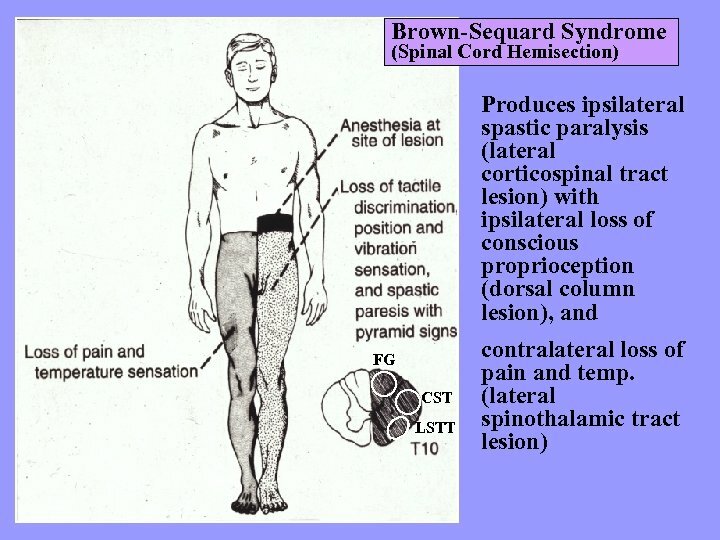 Contralateral loss of conscious proprioception, vibratory sense. 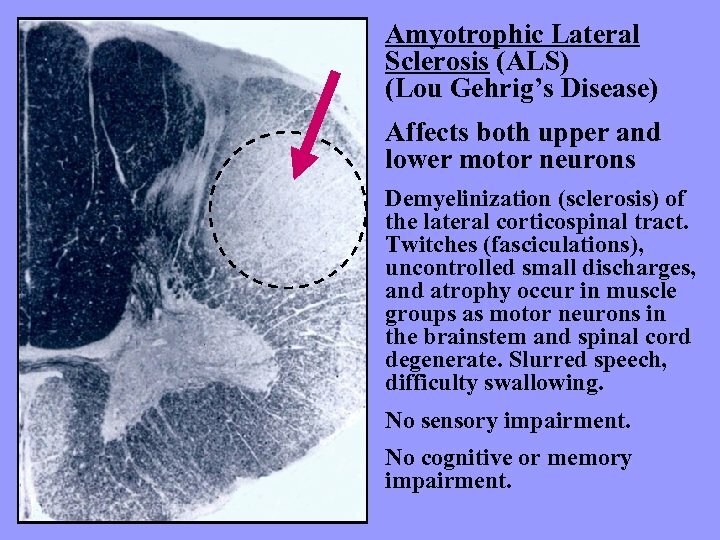 Amyotrophic Lateral Sclerosis (ALS) (Lou Gehrig’s Disease) Affects both upper and lower motor neurons Demyelinization (sclerosis) of the lateral corticospinal tract. 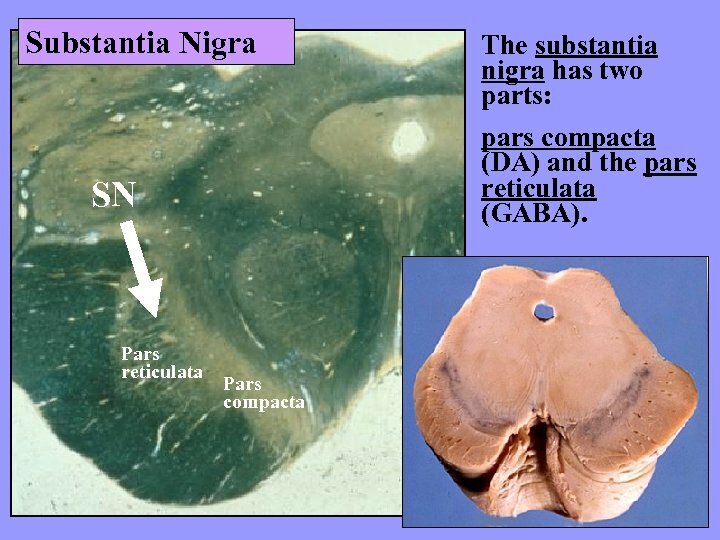 Twitches (fasciculations), uncontrolled small discharges, and atrophy occur in muscle groups as motor neurons in the brainstem and spinal cord degenerate. 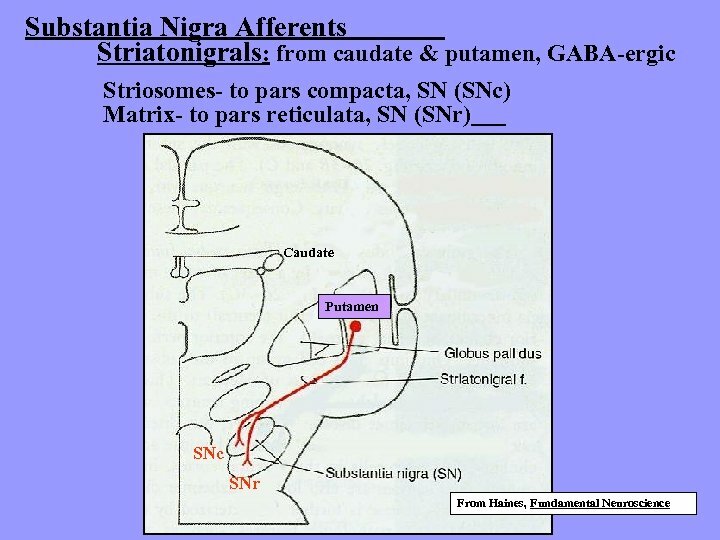 Slurred speech, difficulty swallowing. No sensory impairment. No cognitive or memory impairment. 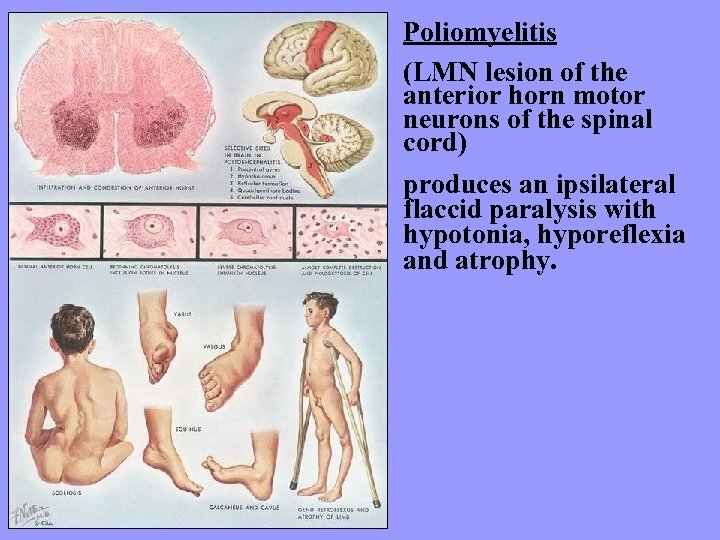 Poliomyelitis (LMN lesion of the anterior horn motor neurons of the spinal cord) produces an ipsilateral flaccid paralysis with hypotonia, hyporeflexia and atrophy. 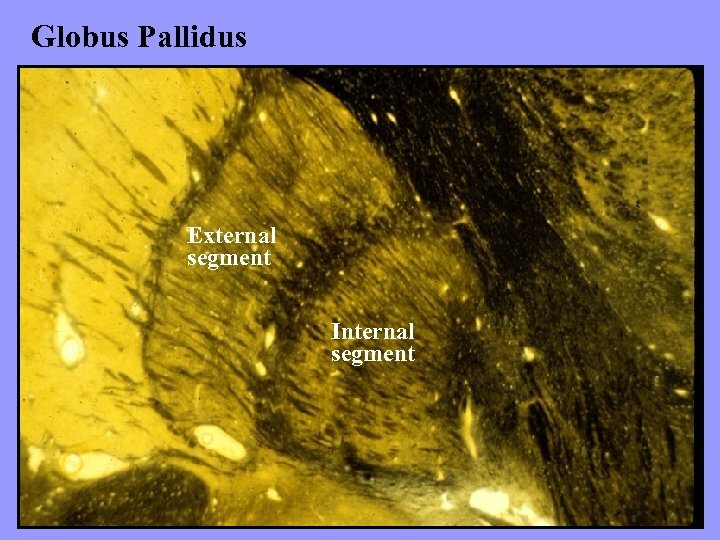 The intermediate and deep (motor) layers of the SC are in registry with the visual map in the superficial layer. 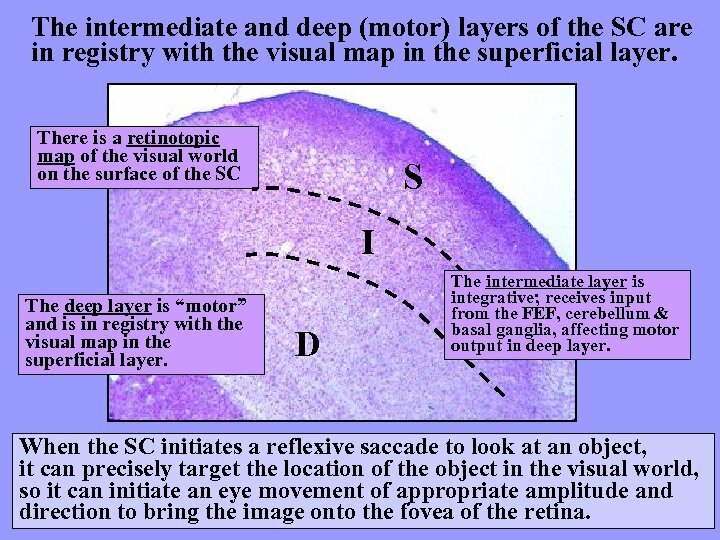 There is a retinotopic map of the visual world on the surface of the SC S I The deep layer is “motor” and is in registry with the visual map in the superficial layer. 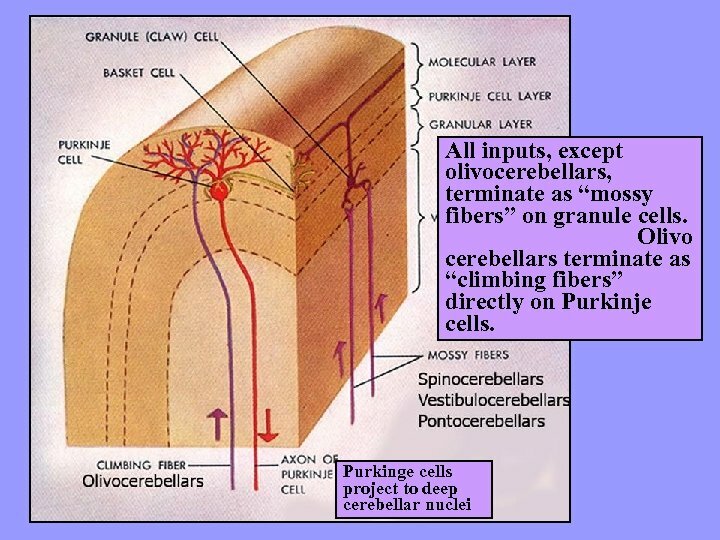 D The intermediate layer is integrative; receives input from the FEF, cerebellum & basal ganglia, affecting motor output in deep layer. 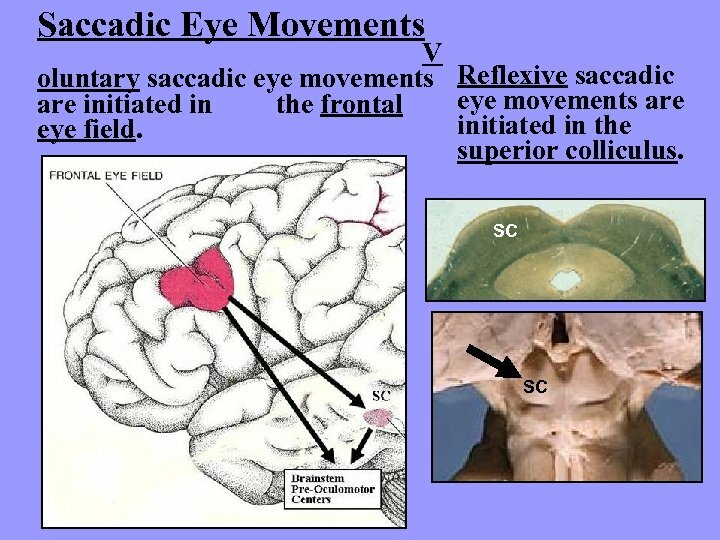 When the SC initiates a reflexive saccade to look at an object, it can precisely target the location of the object in the visual world, so it can initiate an eye movement of appropriate amplitude and direction to bring the image onto the fovea of the retina. 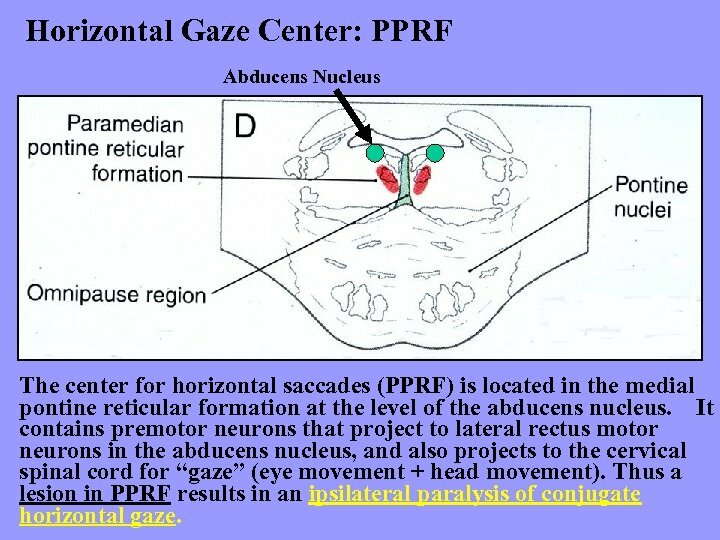 Horizontal Gaze Center: PPRF Abducens Nucleus The center for horizontal saccades (PPRF) is located in the medial pontine reticular formation at the level of the abducens nucleus. 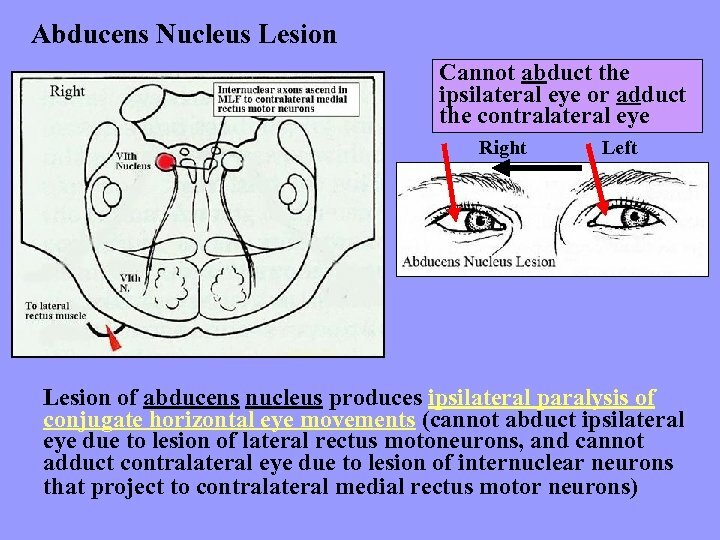 It contains premotor neurons that project to lateral rectus motor neurons in the abducens nucleus, and also projects to the cervical spinal cord for “gaze” (eye movement + head movement). 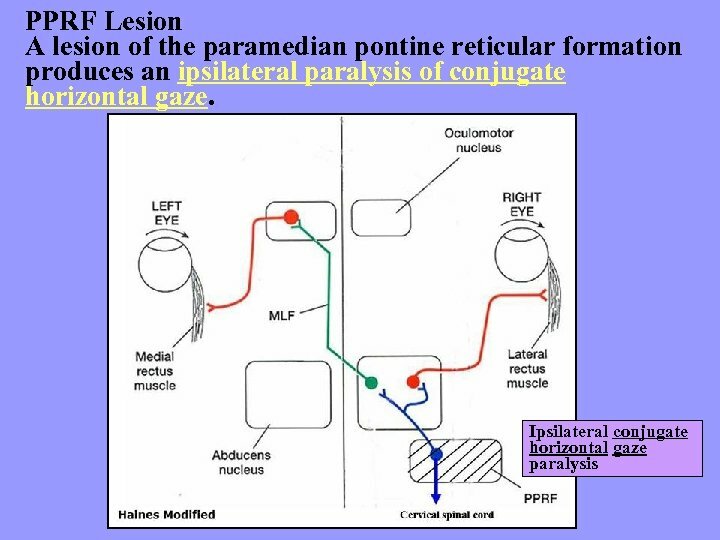 Thus a lesion in PPRF results in an ipsilateral paralysis of conjugate horizontal gaze. 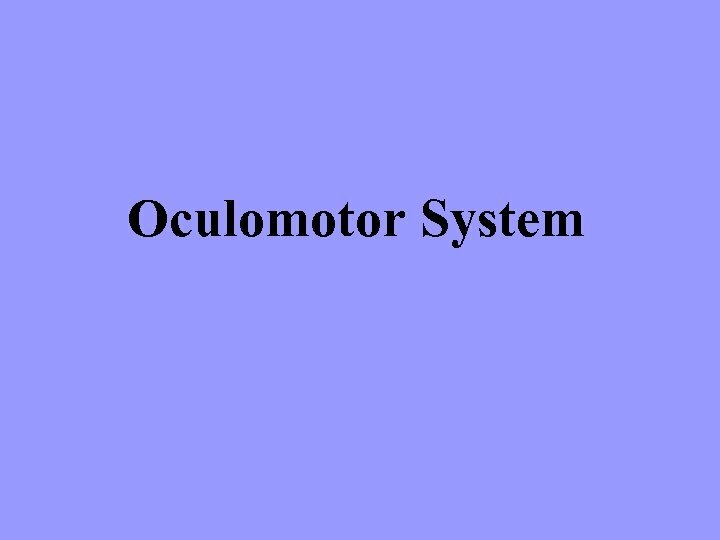 Smooth Pursuit System Smooth pursuit eye movements are slow eye movements used to follow a moving object across the visual field. 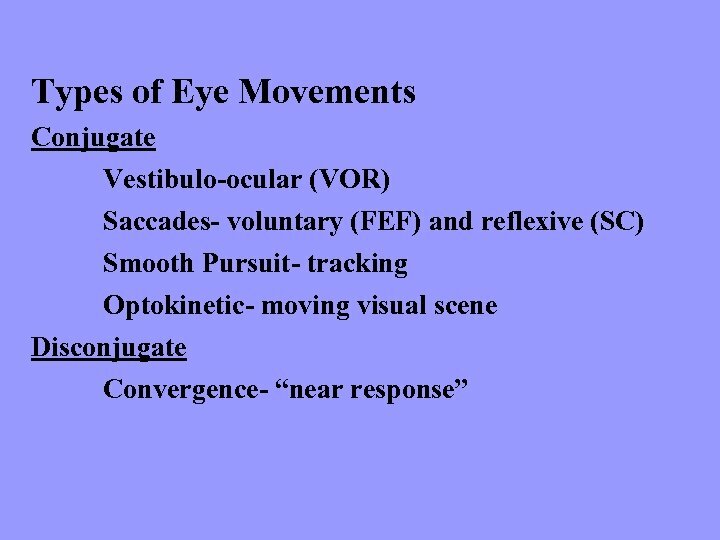 To maintain fixation, the eyes must move at the same speed as the visual target (eye movement matches target velocity). 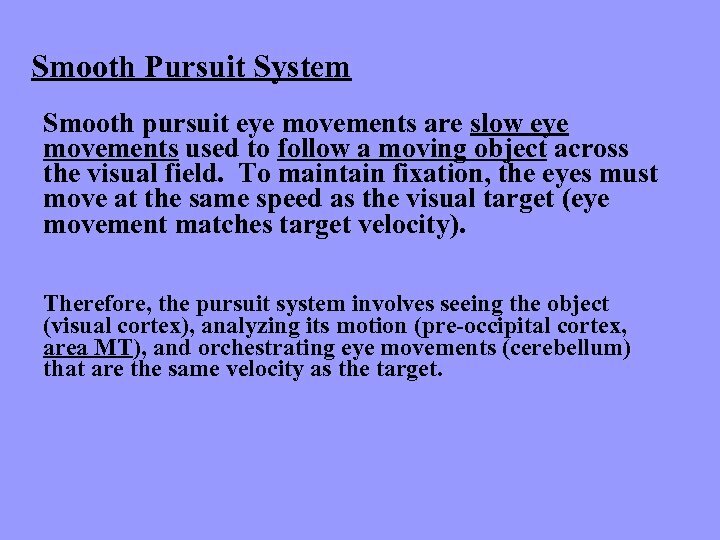 Therefore, the pursuit system involves seeing the object (visual cortex), analyzing its motion (pre-occipital cortex, area MT), and orchestrating eye movements (cerebellum) that are the same velocity as the target. 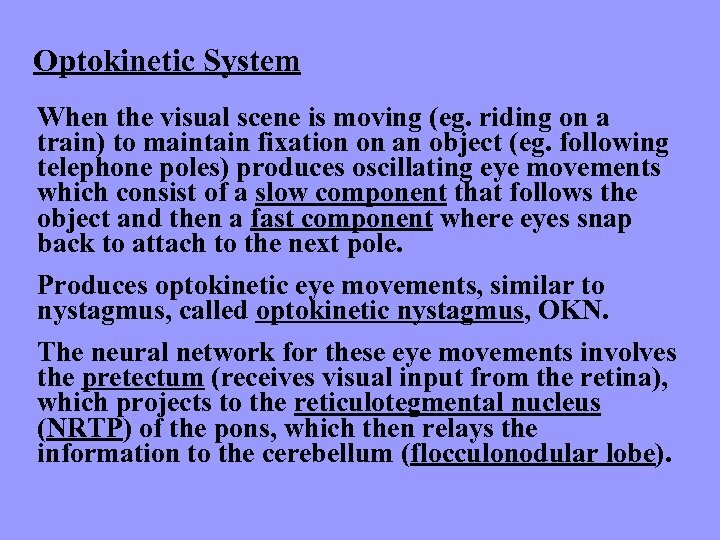 Optokinetic System When the visual scene is moving (eg. riding on a train) to maintain fixation on an object (eg. 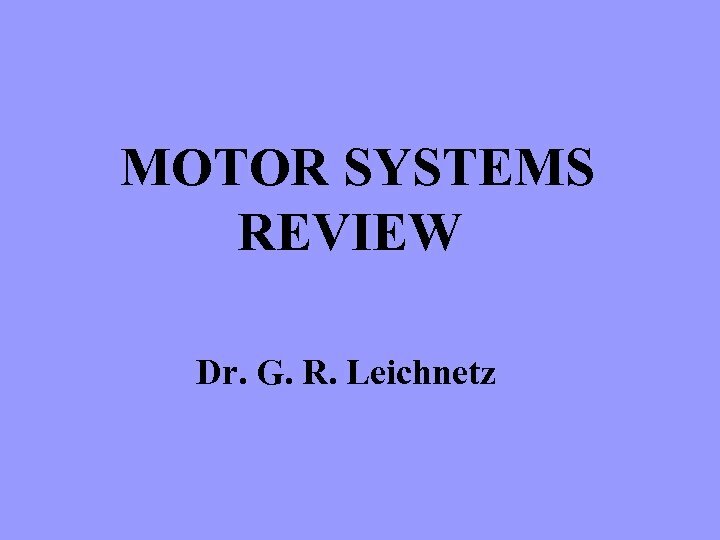 following telephone poles) produces oscillating eye movements which consist of a slow component that follows the object and then a fast component where eyes snap back to attach to the next pole. 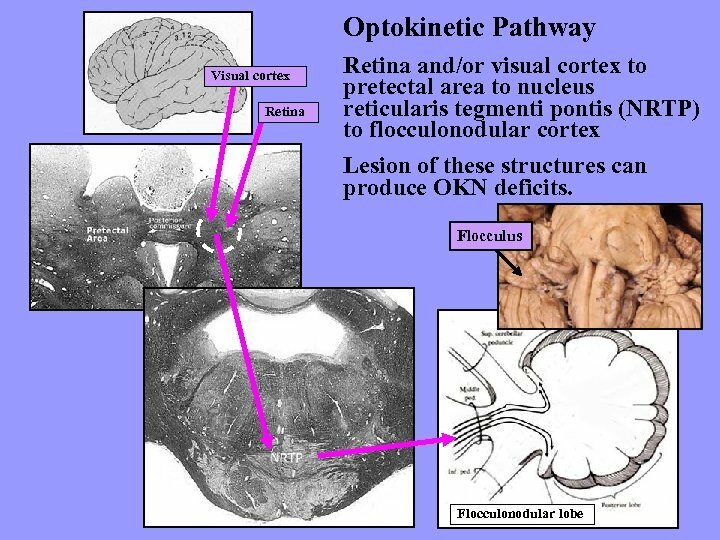 Produces optokinetic eye movements, similar to nystagmus, called optokinetic nystagmus, OKN. 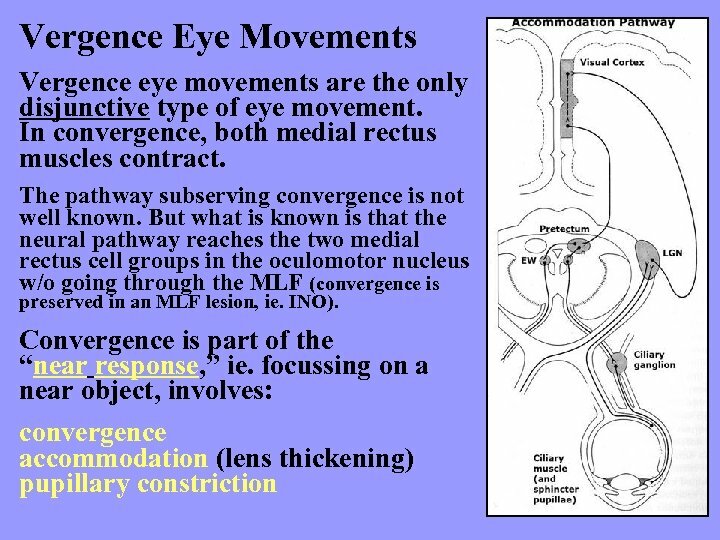 The neural network for these eye movements involves the pretectum (receives visual input from the retina), which projects to the reticulotegmental nucleus (NRTP) of the pons, which then relays the information to the cerebellum (flocculonodular lobe). 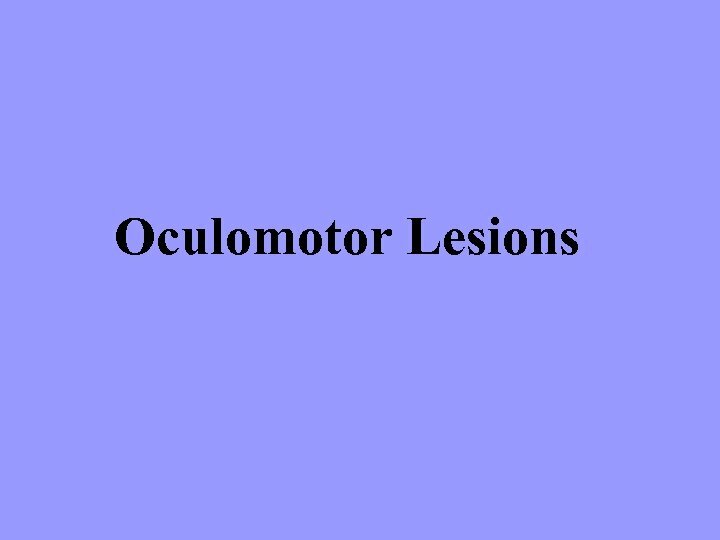 Oculomotor (IIIrd) Nerve Palsy, left eye right left Ptosis Mydriasis Exotropia From: Fix, High-Yield Neuroanatomy With lesion of the left oculomotor nerve (C. N. III), the left eye is abducted (due to unopposed action of the lateral rectus). 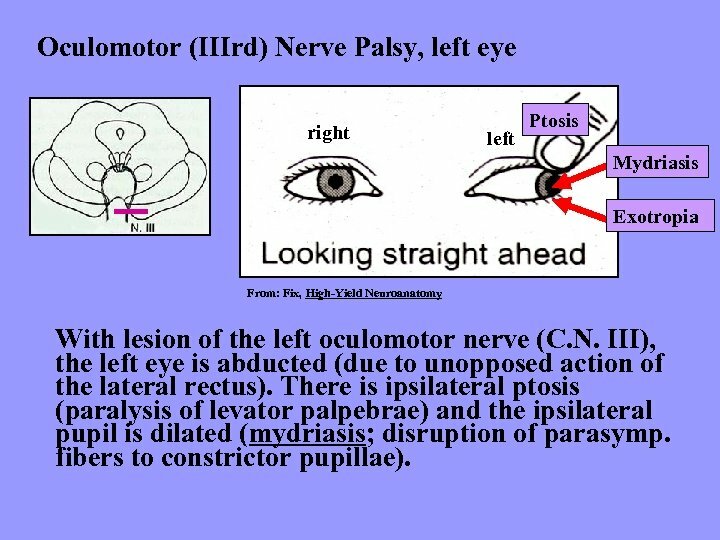 There is ipsilateral ptosis (paralysis of levator palpebrae) and the ipsilateral pupil is dilated (mydriasis; disruption of parasymp. fibers to constrictor pupillae). 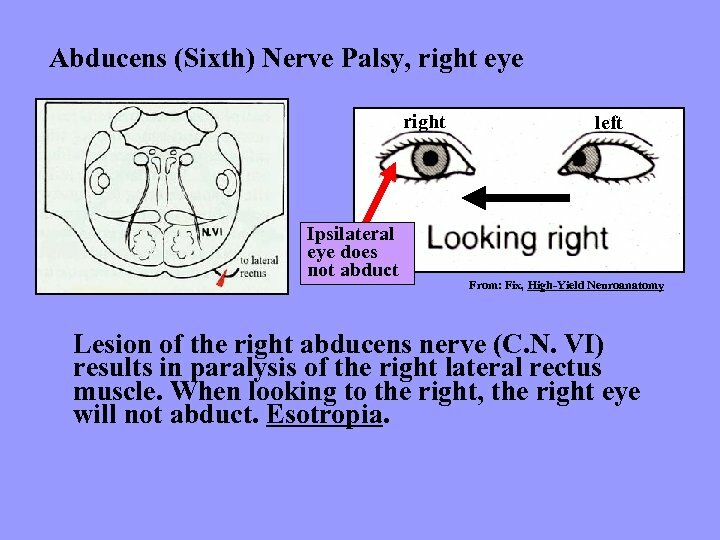 Abducens (Sixth) Nerve Palsy, right eye right Ipsilateral eye does not abduct left From: Fix, High-Yield Neuroanatomy Lesion of the right abducens nerve (C. N. VI) results in paralysis of the right lateral rectus muscle. When looking to the right, the right eye will not abduct. Esotropia. 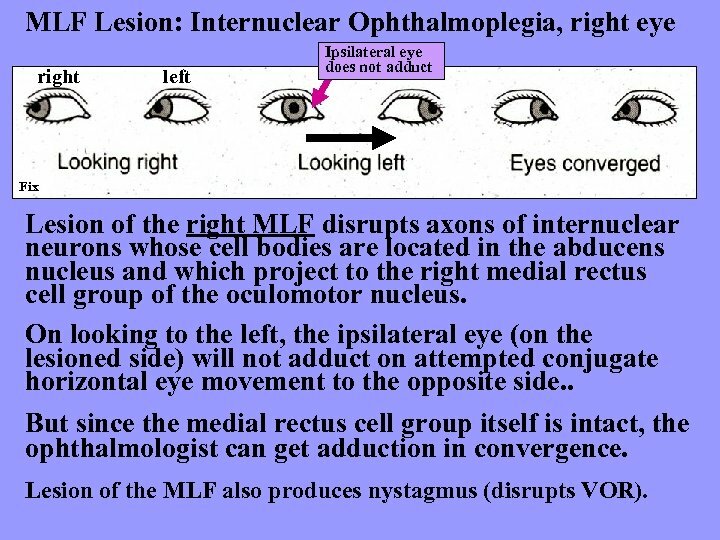 MLF Lesion: Internuclear Ophthalmoplegia, right eye right left Ipsilateral eye does not adduct Fix Lesion of the right MLF disrupts axons of internuclear neurons whose cell bodies are located in the abducens nucleus and which project to the right medial rectus cell group of the oculomotor nucleus. 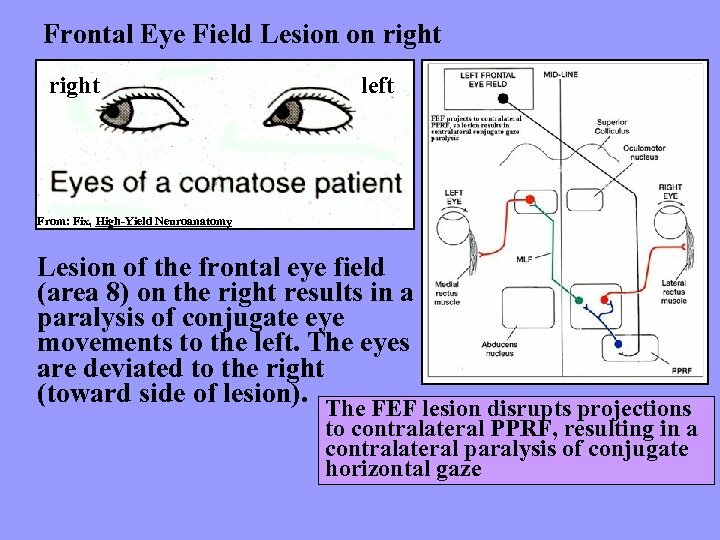 On looking to the left, the ipsilateral eye (on the lesioned side) will not adduct on attempted conjugate horizontal eye movement to the opposite side. . 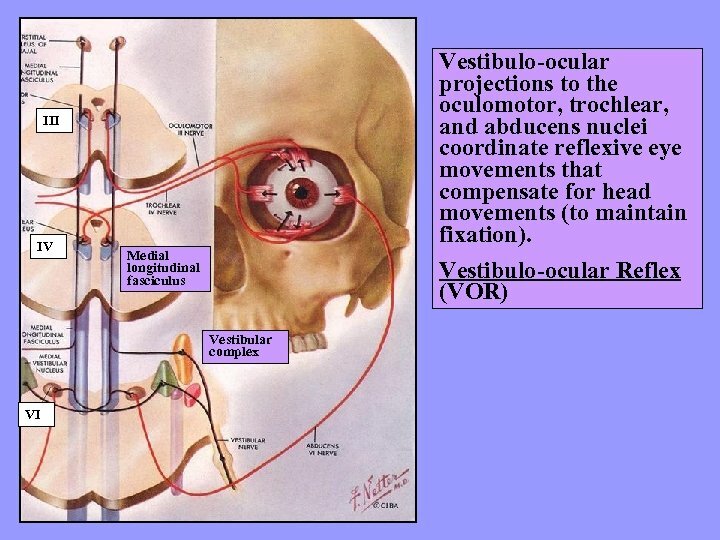 But since the medial rectus cell group itself is intact, the ophthalmologist can get adduction in convergence. 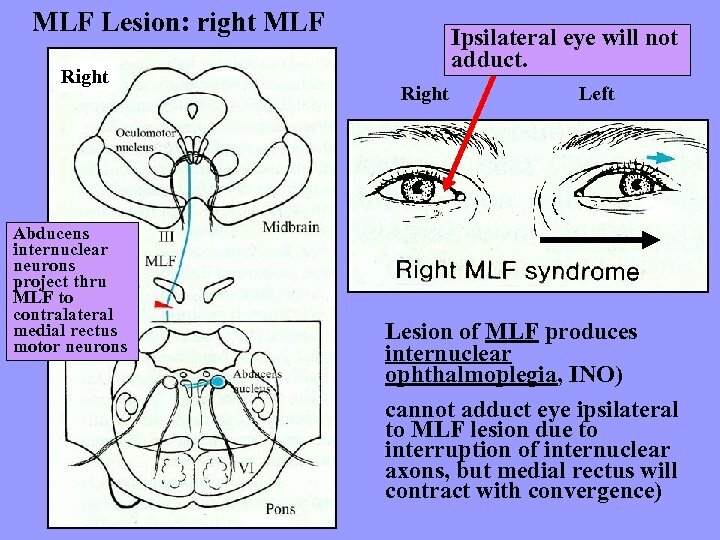 Lesion of the MLF also produces nystagmus (disrupts VOR). 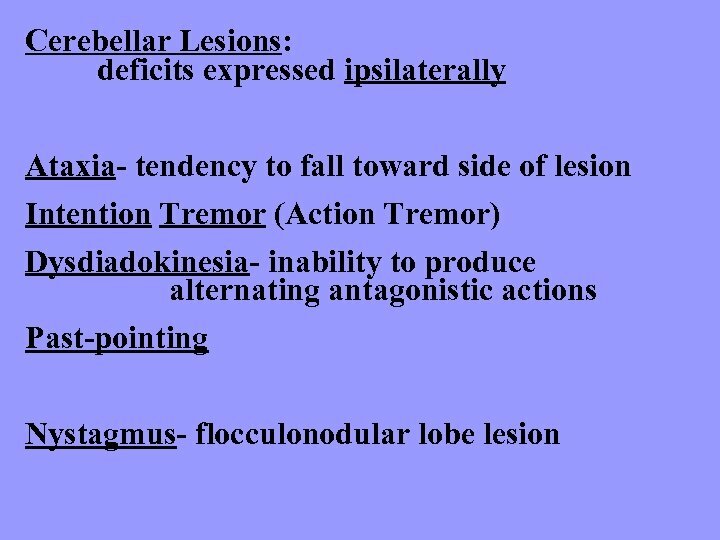 Anterior lobe Basilar pontine nuclei Vestibular complex Inferior olivary nucleus Nucleus dorsalis Posterior lobe Flocculo. 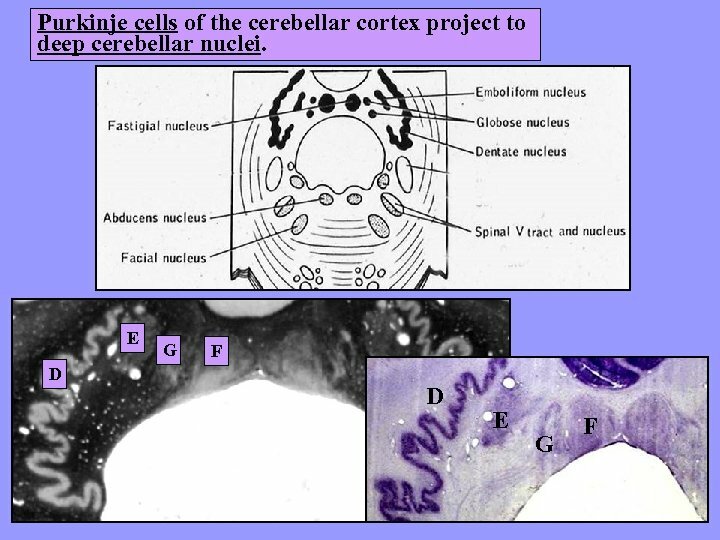 Nodular lobe Accessory. (Lat. ) 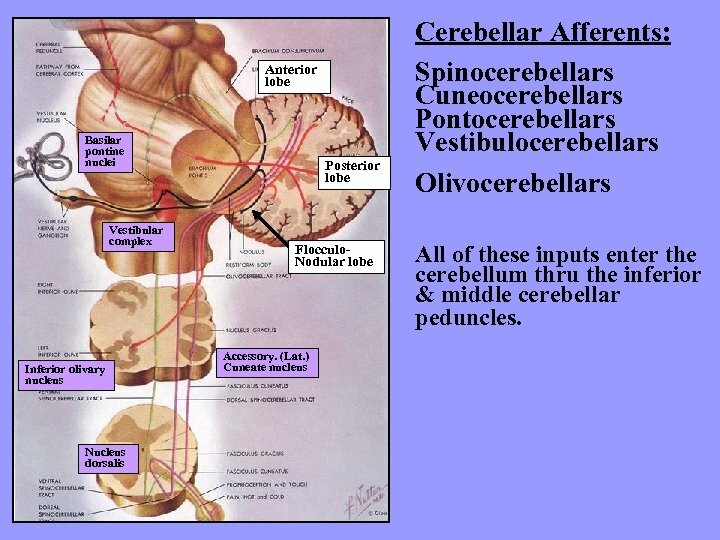 Cuneate nucleus Cerebellar Afferents: Spinocerebellars Cuneocerebellars Pontocerebellars Vestibulocerebellars Olivocerebellars All of these inputs enter the cerebellum thru the inferior & middle cerebellar peduncles. 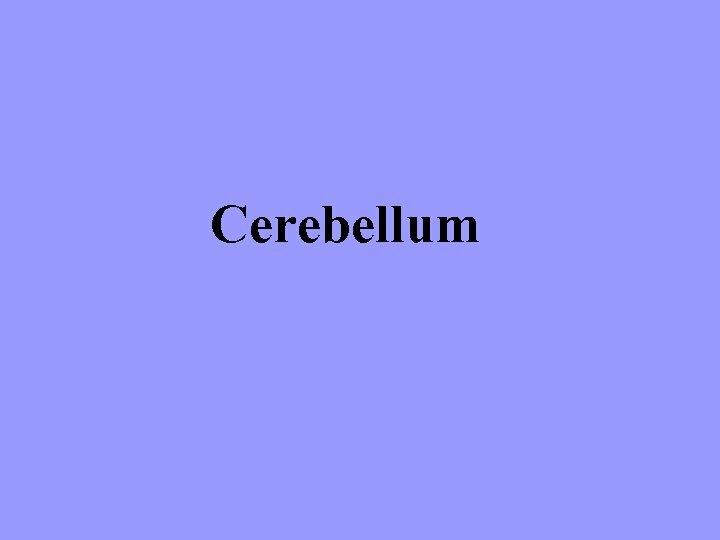 Cerebellar Efferents To contralateral red nucleus and VL thalamus Decussation of superior cerebellar peduncle Deep cerebellar nuclei Cerebellar efferents originate in the deep cerebellar nuclei. 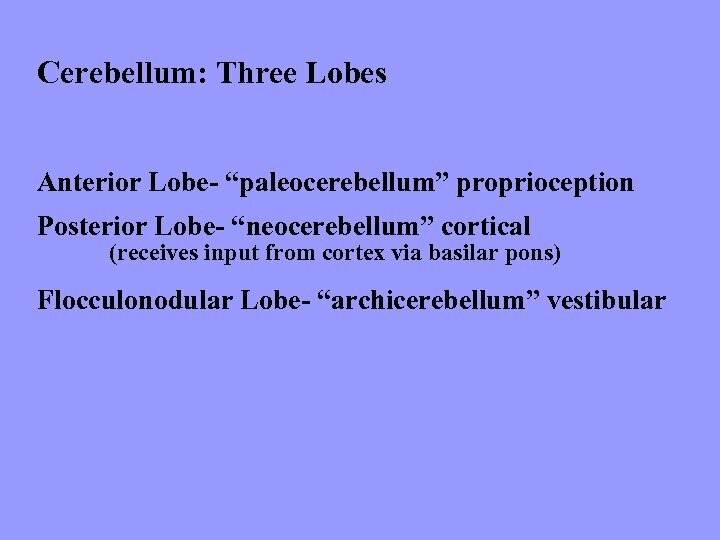 The deep cerebellar nuclei (dentate, globose, emboliform nuclei) project thru the superior cerebellar peduncle to contralateral red nucleus and VL nucleus of the thalamus. 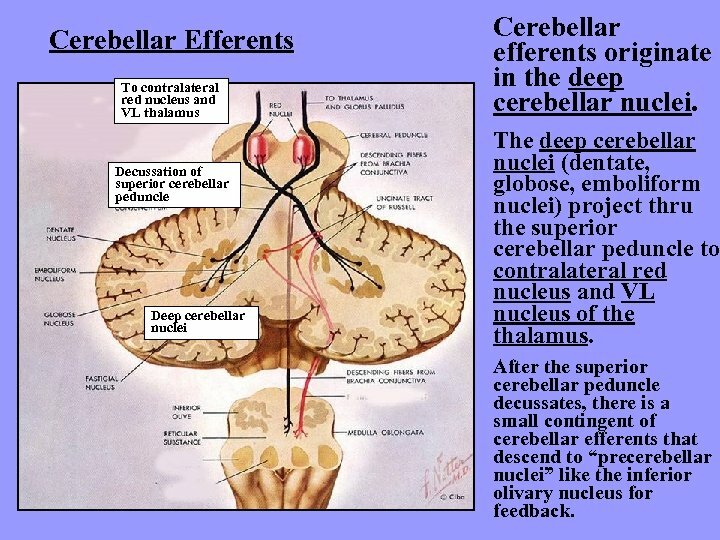 After the superior cerebellar peduncle decussates, there is a small contingent of cerebellar efferents that descend to “precerebellar nuclei” like the inferior olivary nucleus for feedback. 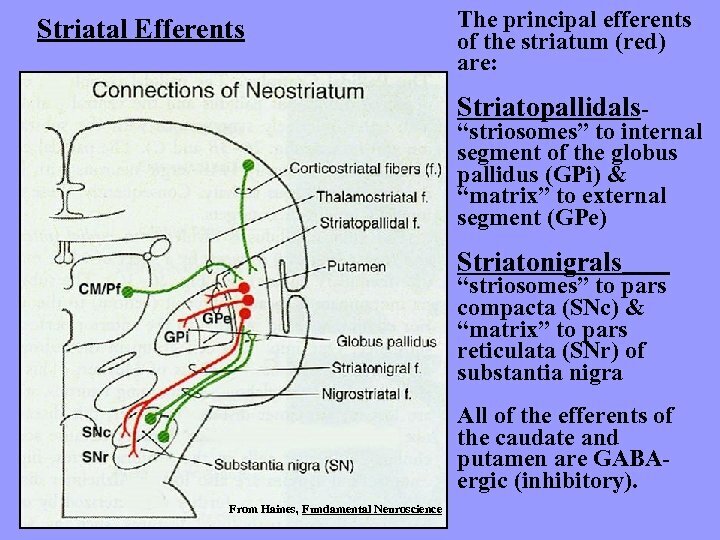 The direct pathway facilitates movement, while the indirect pathway inhibits movement. 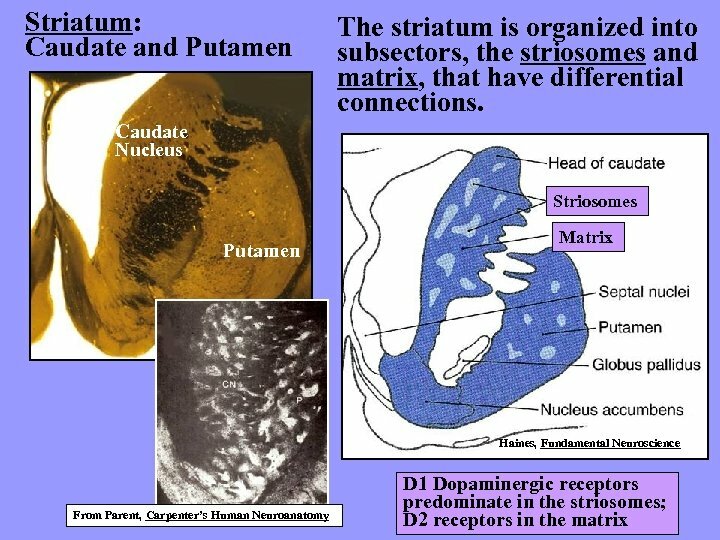 D 1 receptors predominate in striosomes (patches) and project directly to the GPi (direct pathway). 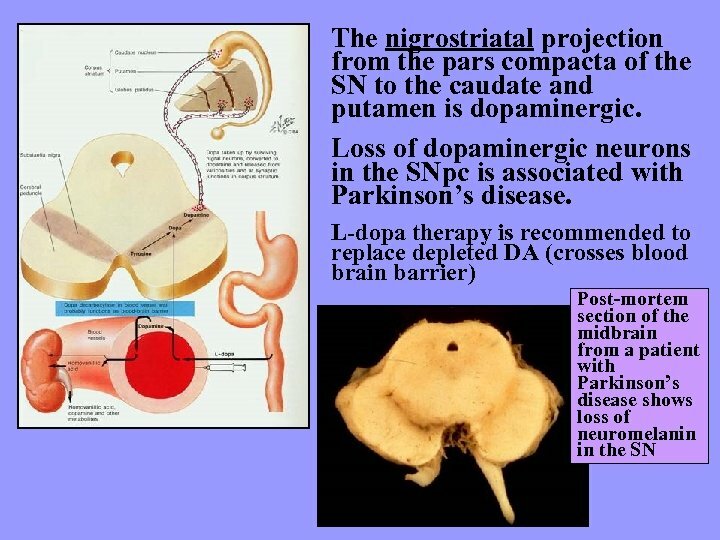 D 2 receptors predominate in the matrix and project to the GPe (indirect pathway). 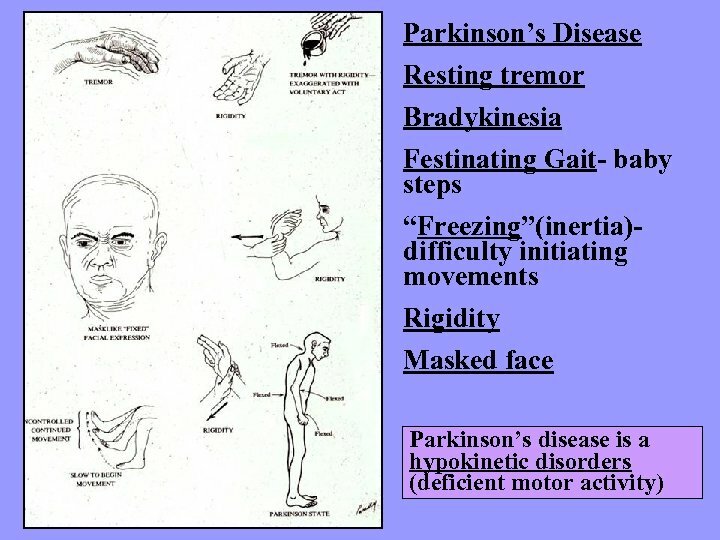 Huntington’s Chorea is an inherited disease with onset in middle age. 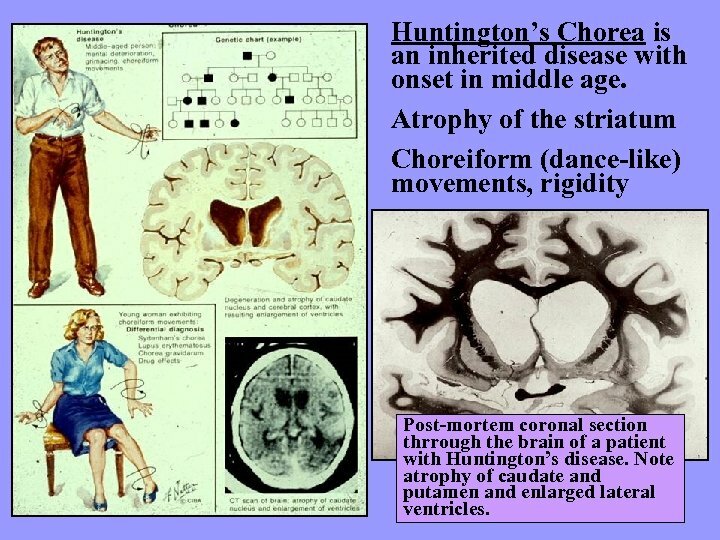 Atrophy of the striatum Choreiform (dance-like) movements, rigidity Post-mortem coronal section thrrough the brain of a patient with Huntington’s disease. 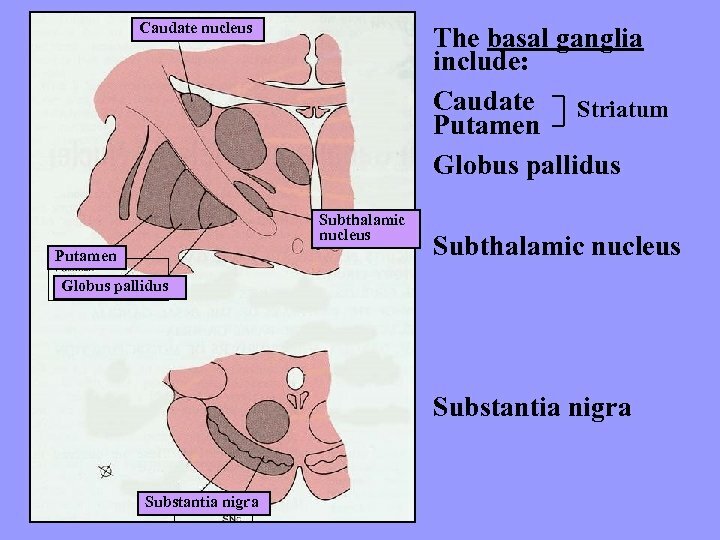 Note atrophy of caudate and putamen and enlarged lateral ventricles. 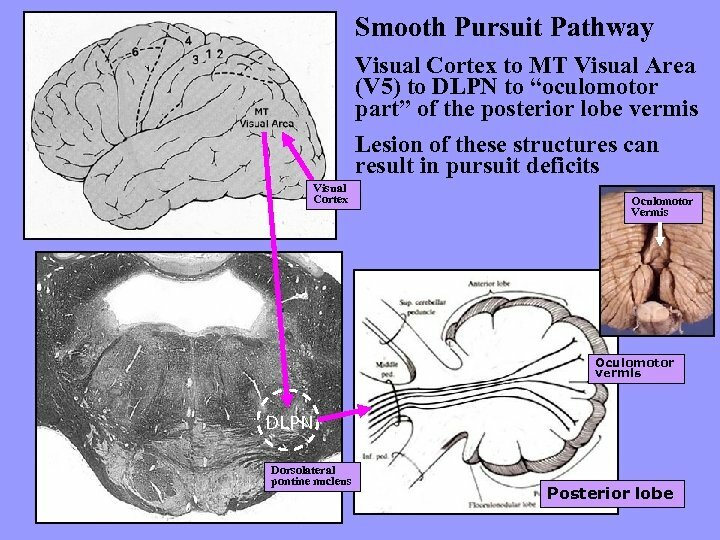 Modified from Kandel The direct pathway facilitates movement, while the indirect pathway inhibits movement. 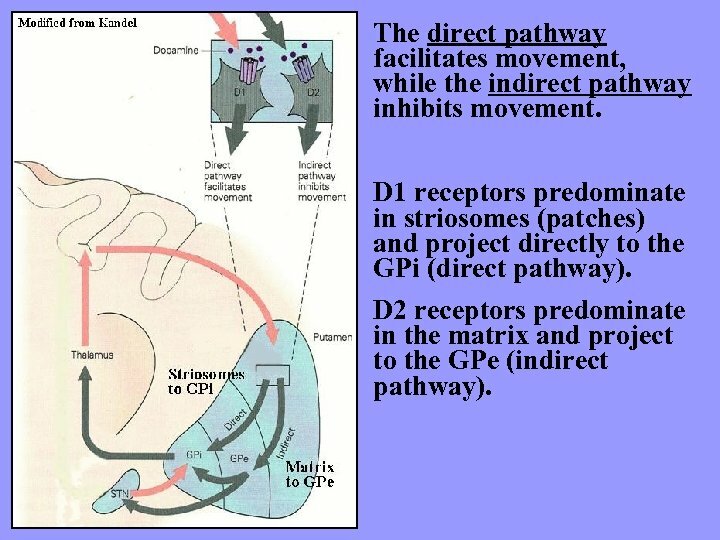 D 1 receptors predominate in striosomes and project directly to the GPi (direct pathway). 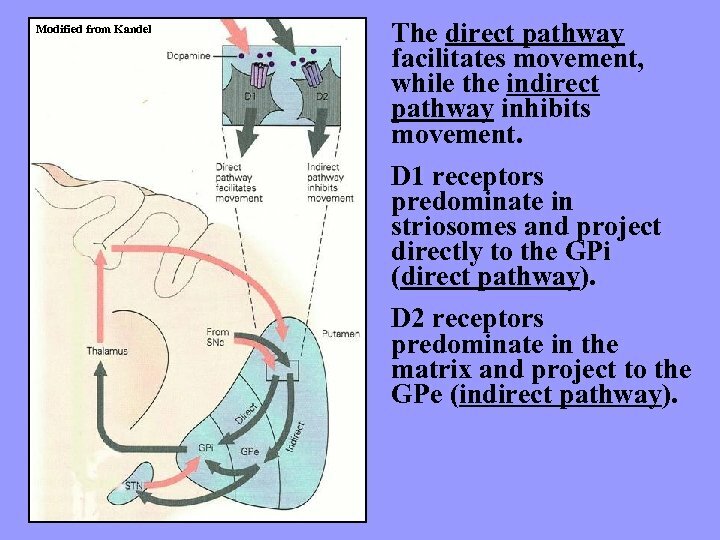 D 2 receptors predominate in the matrix and project to the GPe (indirect pathway). 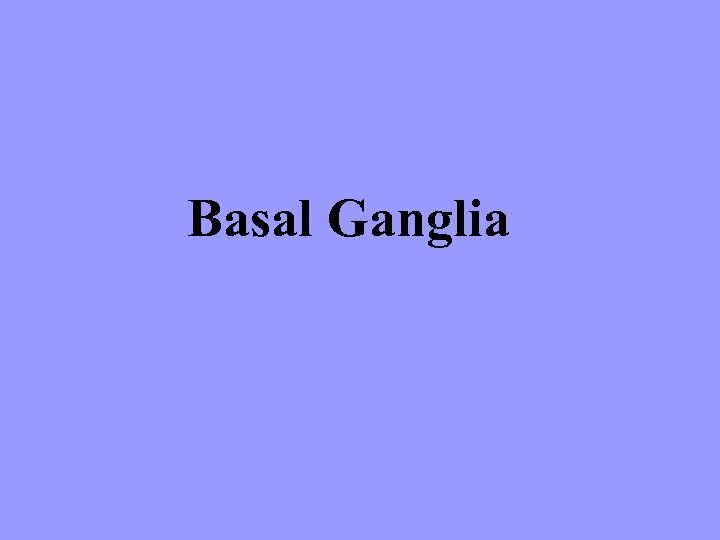 The basal ganglia are involved in automated patterns of movement. 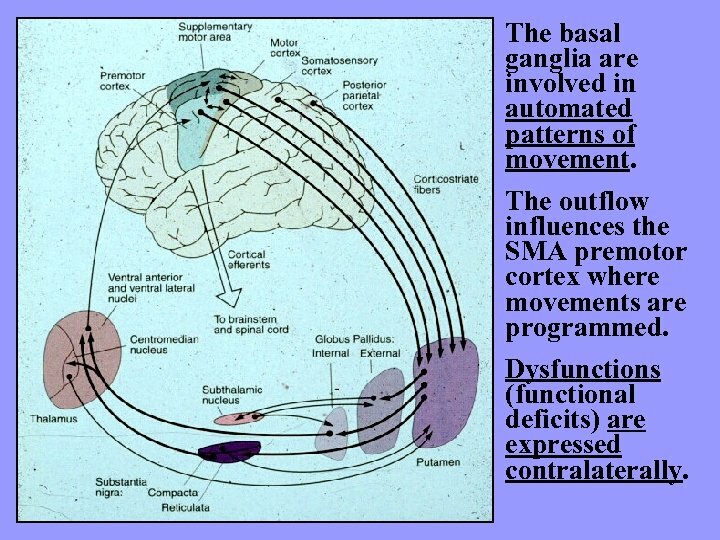 The outflow influences the SMA premotor cortex where movements are programmed. 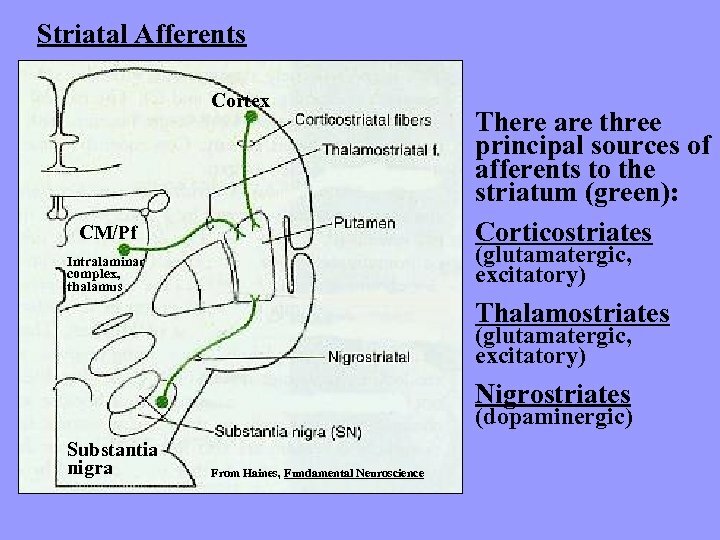 Dysfunctions (functional deficits) are expressed contralaterally. 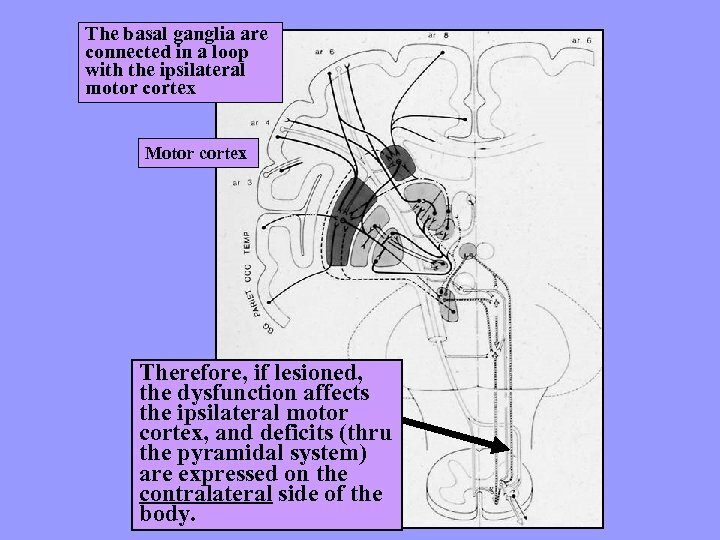 The basal ganglia are connected in a loop with the ipsilateral motor cortex Motor cortex Therefore, if lesioned, the dysfunction affects the ipsilateral motor cortex, and deficits (thru the pyramidal system) are expressed on the contralateral side of the body.